Useful, simple and 100 % safe cutting of shrink wrap, cardboards and packing tapes. Knives prevent from cuts at work stations and from damaging packing's contents. 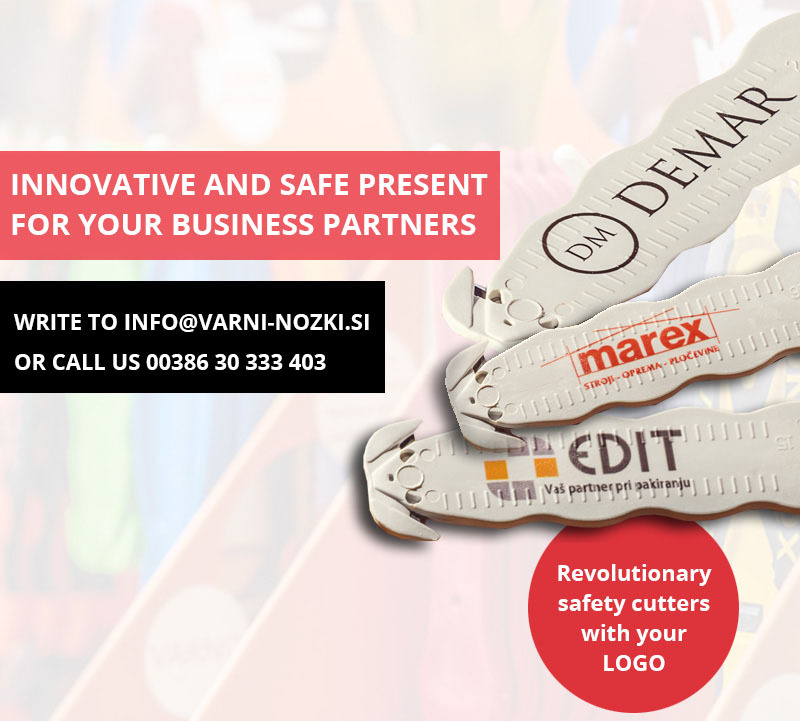 Join the very successful dealers´ network, which offers safety cutters in their portfolio and become a part of revolution. Join the dealers´ network and become a part of revolution. Your packaging will be cut very quickly, easilly and mainly - completely safe. 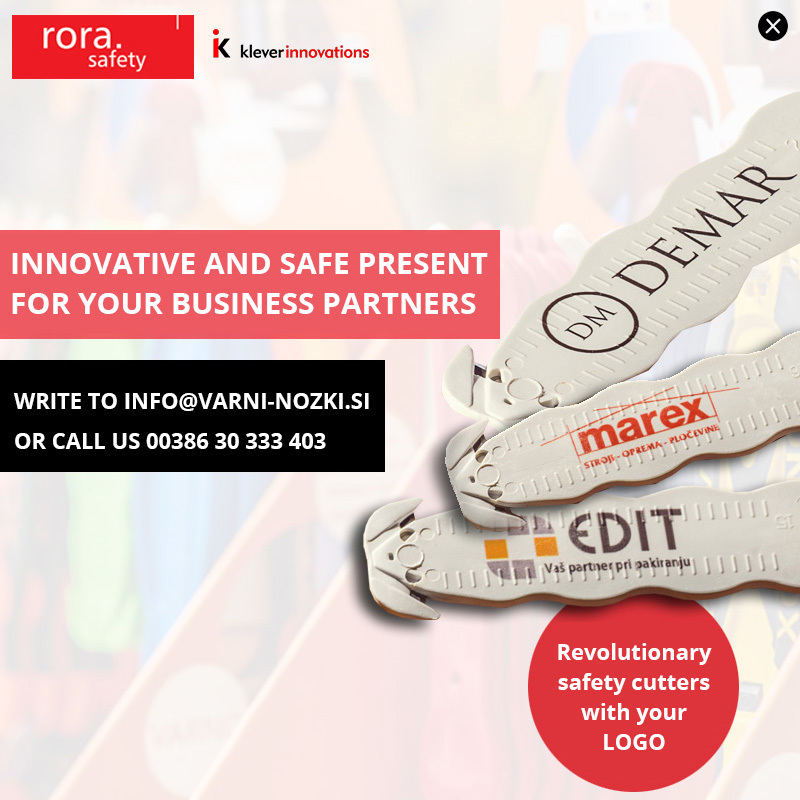 Usage of the safety cutters 100% prevents from cuts at work stations and from damaging packing's contents. Recognized experts (surgeons, traumatologists, safety engineers..) recommend using safety cutter Klever more frequently because of it s exceptional safetiness. Renowned producers print on cardboard crossed sign for traditional knives and recommend using the safety cutter Klever instead. Acquisition of internationally recognized certificate NSF confirmes the safety use. All Klever Innovations products are proudly carefully made in the United States of America. Quality you can count on, attention to details and customer service at the highest level that is second to none.